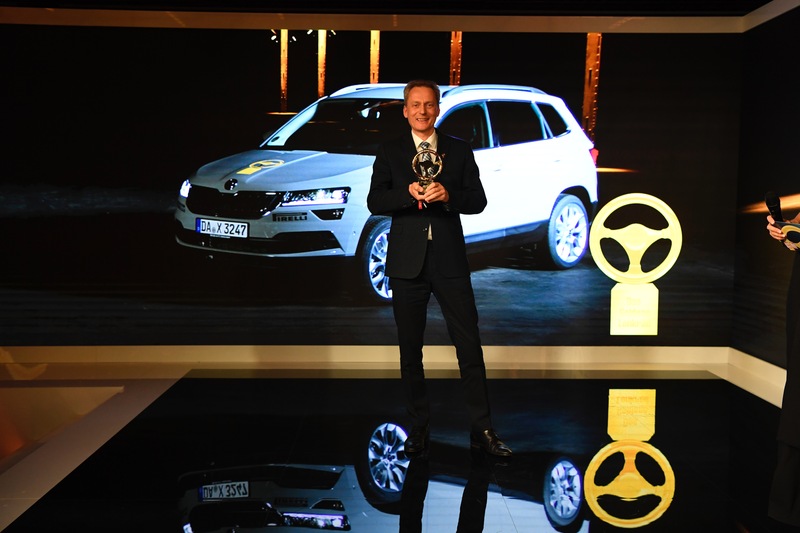 Mladá Boleslav / Berlin, 7 November 2017 – The car magazine ‘Auto Bild’ and the ‘Bild am Sonntag’ newspaper have awarded the new ŠKODA KAROQ with the 2017 Golden Steering Wheel. Readers from over 20 European countries had voted the KAROQ into the final of the ‘small SUV’ category. In the end, a jury of experts chose ŠKODA’s newcomer as the winner after a number of challenging test drives. 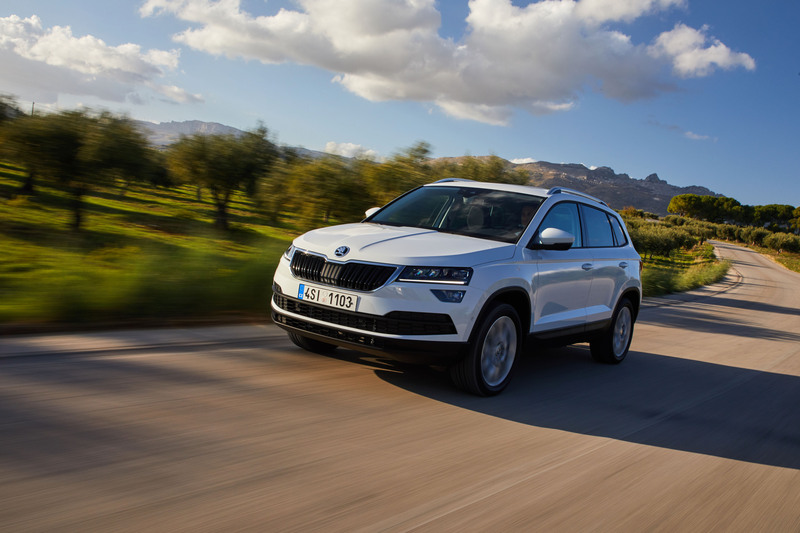 “With the KAROQ, which sets benchmarks in many areas, we are consistently pressing ahead with our successful SUV campaign,” said ŠKODA AUTO Board Member for Technical Development, Christian Strube. “I am delighted that the latest addition to our model range is also going down so well. The Golden Steering Wheel shows that with the KAROQ, we are currently offering the most attractive overall package in the compact SUV category,” added Strube. The Golden Steering Wheel is one of Europe’s most coveted car awards. This year, a total of 42 models competed, split into the following categories: small and compact cars, small SUVs, large SUVs, mid-size and executive cars, and sports cars. The ŠKODA KAROQ competed in the ‘small SUV’ category – with twelve nominees, the category containing the most participants. 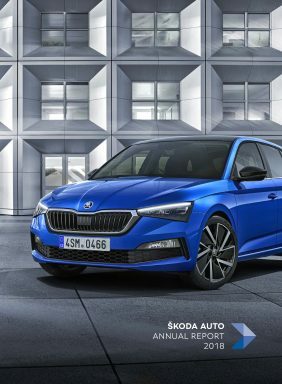 First of all, readers of ‘Auto Bild’, ‘Bild am Sonntag’ and their sister publications in more than 20 European countries voted for their four favourites in each vehicle category. During challenging test drives in Balocco in Northern Italy, the finalists were appraised by a jury of 53 experts including racing drivers, engineers, celebrities, designers and editors of leading European car magazines. In typical ŠKODA style, the KAROQ impressed the judges with qualities such as comfort and a generous amount of space. In addition, the jury awarded more points for connectivity: the KAROQ impresses with the latest generation of infotainment systems, which can be operated via a capacitive touchscreen. The KAROQ is also the first ŠKODA to offer a freely programmable, digital instrument panel. Thanks to an LTE module and Wi-Fi hotspot, passengers in the ŠKODA KAROQ are ‘always online’. Furthermore, the compact SUV impressed the testers with its powerful drive and winning chassis set-up.